The Tobii Eye Tracker is made to work optimally when it is parallel to your eyes at a distance from about 45 — 100 cm (18 to 40 inches). Make sure that you are placed comfortably in relation to the optimal positioning of, and distance from, the unit. Be aware that the Gaze Interaction performance will be enhanced if the sun is not shining directly on the screen or into your eyes. 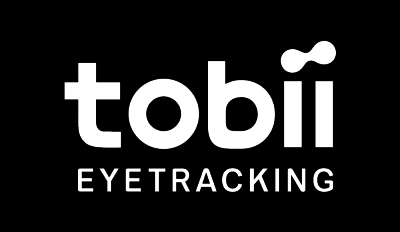 The optimal distance that you should be from the Tobii Eye Tracker depends on the size of the screen. You should be positioned at the optimal distance to allow for the best possible Gaze Interaction. Generally, the larger the size of the screen, the greater the distance you should be from the Eye Tracker / Screen. Smaller than a 12.3 inch screen and larger than a 27 inch screen should not be used for optimal Tobii Eye Tracker usage. The eye tracker allows for extensive Freedom of Head Movement. Once the eye tracker is properly calibrated and placed in front of you, no further adjustments are required. In order to function properly with the Tobii Eye Tracker software, the eye tracker must be able to see at least one of your eyes at all times.